Take in incomparable ocean views from every vantage point at The St. Regis Bali Resort, which overlooks a pristine ribbon of white-sand beach considered the most beautiful in Nusa Dua, Bali. Enjoy all of the indulgences of an exclusive yet subtly elegant 5-star hotel featuring the only private villas with immediate beach access. 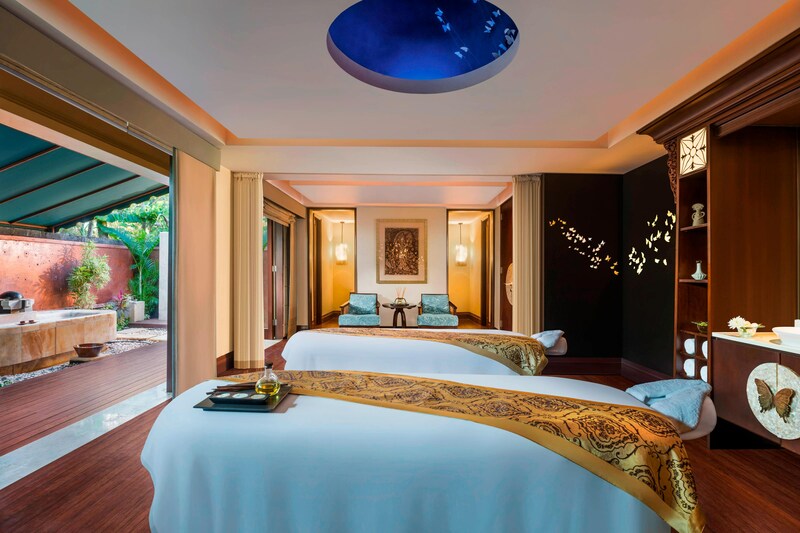 Allow yourself to be pampered with a treatment at St. Regis Bali Spa. Entertain your children with fun, supervised activities at the Children’s Learning Center. Celebrate the end of another glorious day by witnessing our authentic Balinese Fire Dance Ritual from the resort’s grand staircase. Savor an international range of dining delights before retiring to your exquisitely appointed villa steps from the gentle surf. Experience it all while leaving your every need in the care of our signature 24-hour St. Regis butler service. 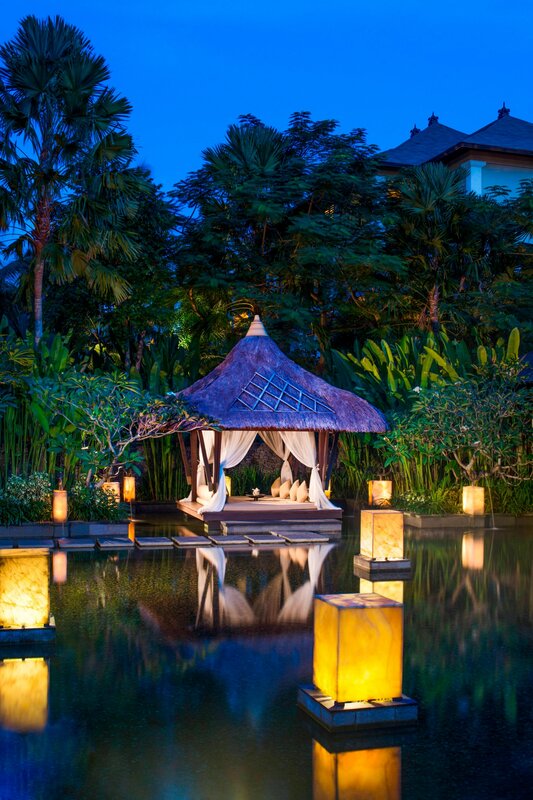 The Bali you dream of discovering awaits on the shoreline of Nusa Dua’s finest beach at The St. Regis Bali Resort. 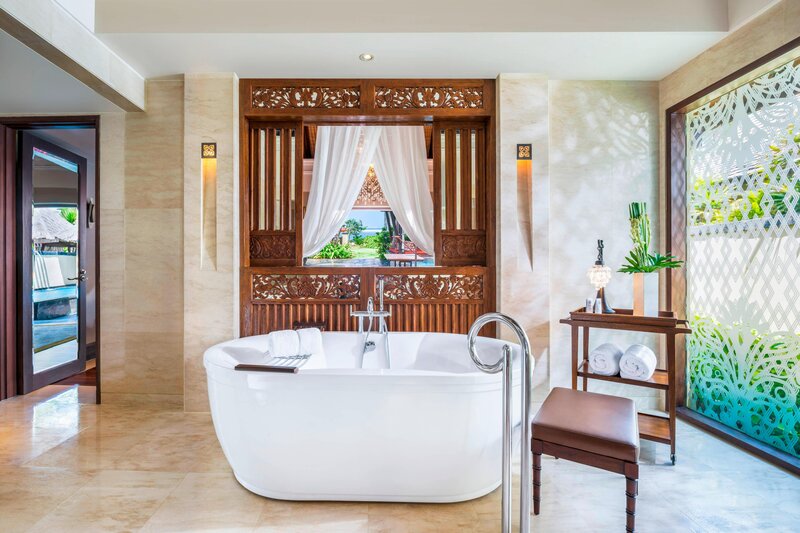 Experience a Balinese-inspired sanctuary in tropical splendor nestled on the pristine beach in the stunning enclave of Nusa Dua, Garden of Bali. Explore the Island of the Gods from Bali&apos;s finest address. 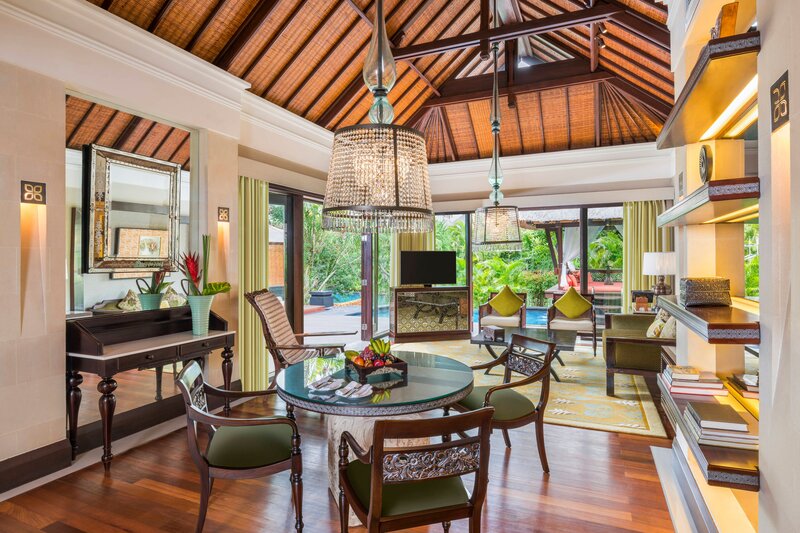 Luxuriate in a world of exquisite living with our newly redefined villas with private pool and gazebo. Some villas boast direct access to the white sand beach or to our salt water lagoon. 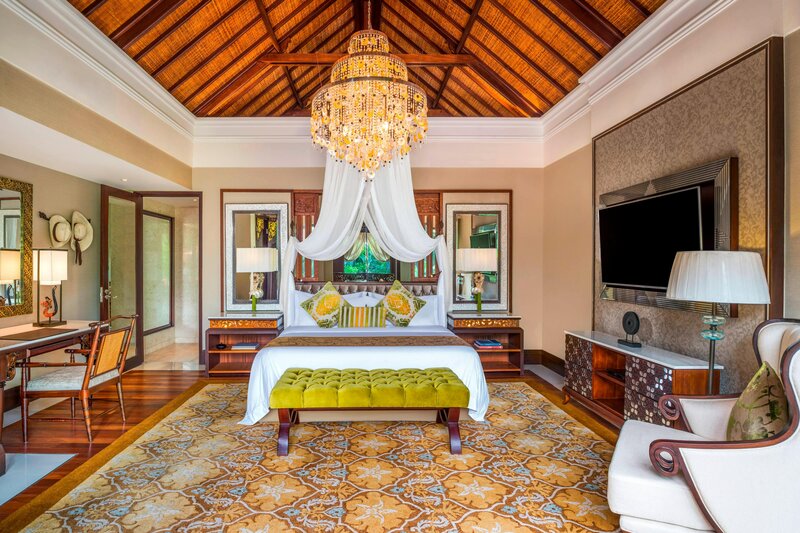 All 41 villas have recently been refurbished. The Strand Villa is notably the only villa product in Bali that boasts direct beach access through the gate from your private garden. From lush tropical gardens to shimmering beaches and elegantly appointed venues, The St. Regis Bali Resort offers the optimal setting for a transcendent celebration. Incomparable venues include Cloud Nine Chapel, the white sand beach and the private amphitheatre. Unique wedding venues from beach, lush garden settings and beachfront chapel with dedicated wedding professional, wedding preparation villa and St. Regis Butler to cater every need on your once in a lifetime occasion. 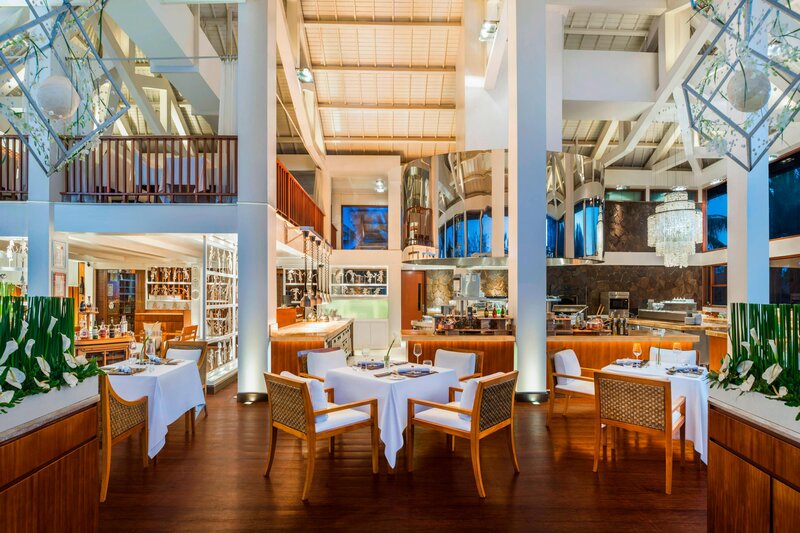 Set against the backdrop of the Indian Ocean, Kayuputi Restaurant offers an exceptional fine dining experience serving Asian-inspired Haute Cuisine complemented by an award-winning wine list and unrivaled service. 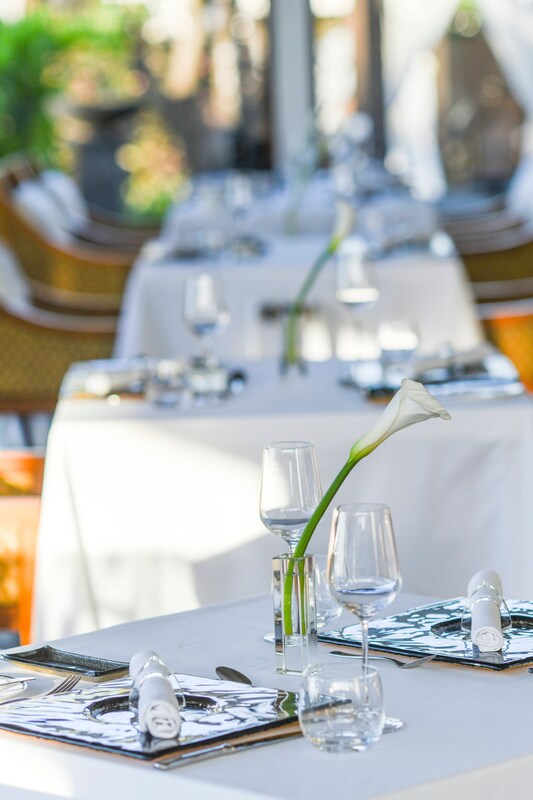 Experience the elegance of the famed Astor Diamond Champagne Sunday brunch in this exquisite restaurant. 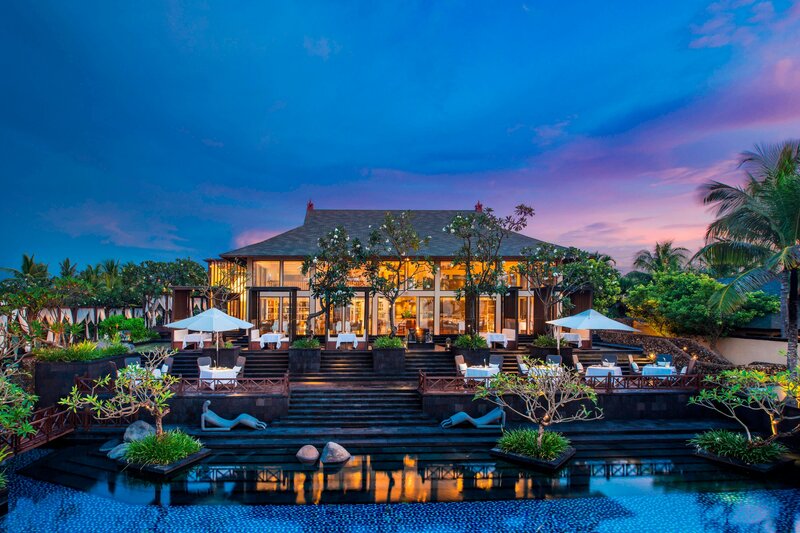 Kayuputi offers pan-Asian haute cuisine complemented by 7 times awards-winning Wine Spectator wine list with spectacular view of Indian Ocean and pool. Focusing on imbuing guests with exceptional wellbeing experiences, The St. Regis Spa offers a delightfully indulgent escape with signature treatments such as St. Regis inspired Bloody Mary, Champagne and Tea treatment as well as a daily wellness program and Aqua Vitale Sea Salt Bath Therapy. Step into the resort&apos;s exclusive St. Regis Spa and enter a mystical sanctuary for body and soul. 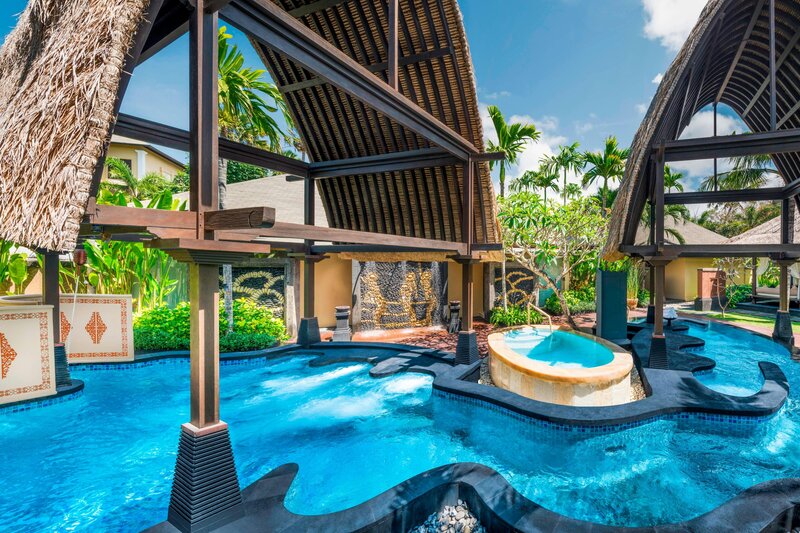 Experience luxurious pampering and the naturally beneficial properties of traditional Balinese treatments and ingredients.